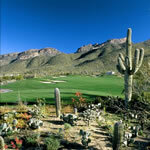 Golfing Tucson provides the best in deals and discounts on Tucson golf vacation packages. We offer a free service to schedule your golf packages to Tucson as well as local advice on which courses and condo/hotels to stay and play at while on your golf vacation to Tucson. Tucson has some of the finest world championship golf courses and resorts in town that rival the best down in the Phoenix and Scottsdale corridor. The staff at Golfing Tucson is dedicated in finding the best vacation package deals in Tucson. With so many golf courses and hotels in the area, it’s hard to find out which courses are the best to play that fit your groups style/budget. With over 20 years experience of Golf in Tucson, our staff provides the professionalism and knowledge to make the best experience for your Tucson golf vacation at the lowest possible package price. We also offer a free service to schedule your Tucson golf tee times, golf resorts and vacation packages. Let the experts at Golfing Tucson plan and customize your golf trip hassle free. Relax at Tucson’s only four star resort and spa, the Omni Tucson National Resort. 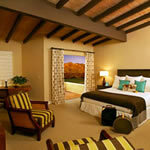 The resort boasts 128 oversized guest rooms, 36 holes of golf and one of the best Spas in the Southwest. 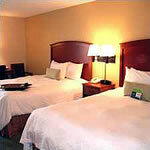 * All package prices are per person, based on double occupancy and include all applicable taxes and green fees. Prices are subject to change on availability. If you would like to reserve this Tucson Golf Package, please contact us toll free at 1-800-426-6148. Feel free also to fill out a free golf package quote to Tucson for a custom trip quote! * All package prices are per person, based on quad (4) occupancy and include all applicable taxes and green fees. Prices are subject to change on availability. If you would like to reserve this Tucson Golf Package, please contact us toll free at 1-800-426-6148. Feel free also to fill out a free Tucson golf quote for a custom trip quote! Enjoy one of Tucson’s most stunning golf resorts the Hilton Tucson El Conquistador. Enjoy spectacular panoramic views of Catalina Mountains and 36 holes of championship golf. The resort boasts spa, salon, golf, and a desert spring Oasis. If you would like to reserve this Golf Vacation Package, please contact us toll free at 1-800-426-6148. Feel free also to fill out a free golf package quote to Tucson for a custom trip quote! 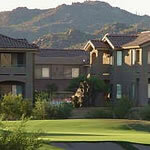 Golf is included in your package at any of these Tucson golf courses. If you would like to reserve this golf package to Tucson, please contact us toll free at 1-800-426-6148. Feel free also to fill out a free Tucson golf package quote to Tucson for a custom trip quote! Enjoy and relax in peace at this luxury Tucson resort located 45 minutes away from downtown Tucson. 27 holes of Championship traditional golf and exquisite dining will leave you with great memories of the Tubac Golf Resort. The classic movie Tin Cup was also filmed here.